It is an in-depth analysis of the state of cells to optimize good health and prevent illnesses. Through this test we can prove weaknesses and strengths affecting each organ and system in the body. This precise and thorough technique helps us understand the state of an individual’s health, flagging up such things as: food-related insufficiencies and excesses, anemia, vitamin levels, toxic residues, pathological predispositions such as oxidation processes, metabolic imbalances, stress etc. Through this test we gain a better understanding of what lifestyle changes need to be m ade. What are the main benefits of this analysis? Early detection of illnesses years ahead. Detection of congenital, degenerative and chronic illnesses. Scientifically based methods to uncover the cause of illness. Food intolerance, dietary insufficiencies and imbalances. Personalized treatment following biological examinations of the individual. How does it differ from a regular lab analysis? The test is different from other conventional blood analysis because we use fresh blood. With this sample, a qualified analyst searches for bacterial activity, cell condition and anomalies that are not usually examined in traditional analysis. The sample of blood we analyze can show us what areas of the body are congested, in a toxic condition or in a state of limited functioning. 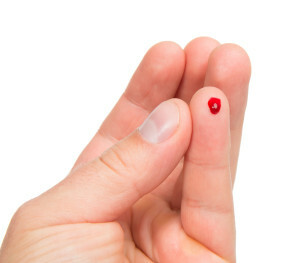 Frequently, regular blood tests offer completely normal numeric parameters, after which many patients continue to complain of discomfort or health problems of varied degrees of severity. 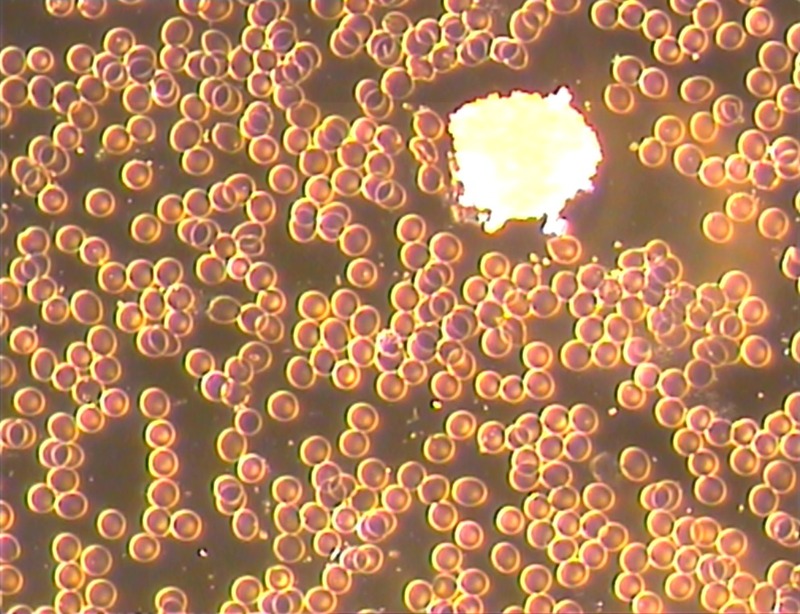 For example, the number of red blood cells can appear to be normal, yet when analyzed in a qualitative way (cell analysis) we can see that they are squeezed tightly together, just li ke piles of coins, indicating bad oxygenation. This together with the patient’s health history enables us to understand better what is going on and why this inadequate oxygenation is occurring. This analysis can also show red blood cell distortions, which reflect the nutritional state, especially low iron levels, protein, vitamin B, folic acid and fatty acids. We can observe how stressed the liver is, the existence of unwanted types of bacteria and fungi, while also detecting signs of parasites and hormonal imbalances. In other instances we are alerted by an abundance of toxic substances that prevent nutrients from reaching cells, generating health problems, even when the quantitative analysis results (the traditional lab one) come up as normal. Qualitative analysis (cell analysis) helps us observe the biological makeup of the individual, with different makeups commonly giving rise to specific illnesses. By seeing what happens in the organism, we can correct it whilst applying a natural methodology. We are able to identify the origin of the disease, and also predict which cellular failures could be responsible for any future pathology. Can this cell analysis help us prevent illnesses? Yes, we can determine how our health can evolve in advance. Cell examination can detect many imbalances and dietary insufficiencies before regular blood tests show any anomalies. How does a personalized treatment differ from a generic one? 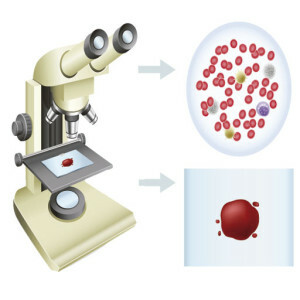 By discovering the dysfunction occurring within the organism, we can work with patients in a tailored way, providing a personalized treatment following a morphological analysis of their blood. d microscopy – a technique enabling a live and direct study of the patient’s blood – shows us how dietary habits and lifestyle choices affect a person’s health. It also enables us to determine what adjustments are necessary to optimize health and prevent future illness. What is included in the cost of the analysis? We then proceed to take a blood sample from a finger. After performing the cell analysis we create a detailed report on the individual’s health, making specific recommendations on dietary and lifestyle habits. General health problems and degenerative ailments can be prevented with early changes to a person’s diet. To re-establish the biochemical balance, we will prescribe some therapeutic nutritional supplements (orthomolecular nutrition). Finally, you will be able to have a consultation with our nutritionist, helping you create a personalized diet plan that will contribute towards recuperating and maintaining overall good health.